Advocate Joseph Jojy has been practicing and handling cases independently with a result oriented approach, both professionally and ethically and has now acquired over 17 years of professional experience in providing legal consultancy and advisory services. 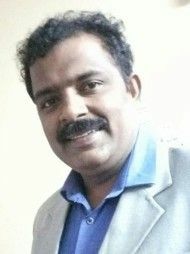 Advocate Joseph Jojy's office is in Devaraj, Mysore. Not just consulting, I have to get feed back to have logical conclusion, or else it is just telling, I have yet to get feed back.